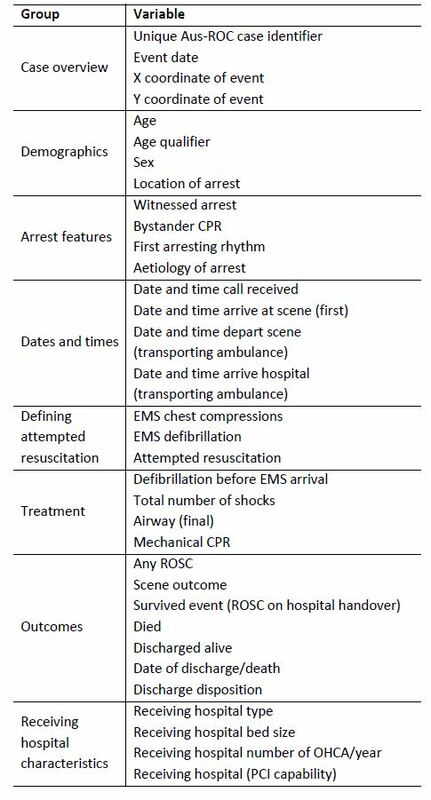 Data in the Aus-ROC Epistry includes information on the out-of-hospital cardiac arrest event, demographics, arrest features, response times, treatment and outcome (see below). Variables were identified by consensus among representatives from the participating ambulance services. The primary outcome measure is ‘survival to hospital discharge’, with ‘return of spontaneous circulation’ (ROSC) as a key secondary outcome.